Letter from Camp Borden is a 17-minute 1941 Canadian documentary film, made by the National Film Board of Canada (NFB) as part of the wartime Canada Carries On series. The film was directed by Raymond Spottiswoode and produced by Stuart Legg. Letter from Camp Borden chronicles the experiences in 1941 of a number of soldiers training at the Canadian Army’s Camp Borden during wartime. 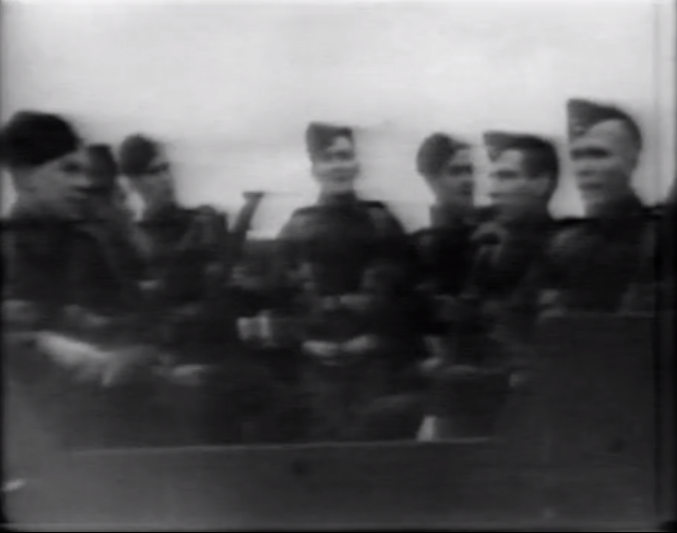 Ship's Company of the corvette H.M.C.S. BUCTOUCHE, Sydney, Nova Scotia, Canada, 24 April 1944.